Have you ever wished you could capture a song that lies unwritten in your head, hit record and share that idea with those around you? In John Shirley’s cyberpunk novel Freezone, Minimonos are a group of humanoids enhanced with a new technology that allows them to translate music directly from their brains into an audible form. The Minimonos only resistance comes in the form of Rickenharp, an aging traditionalist who believes only in pure rock ‘n’ roll. The novel climaxes with Rickenharp rescinding his fight to the unstoppable force of evolution. Turn back time to 1997 in Florence, Italy, and a like-minded collective of artists were gathering together, inspired by the boundless possibilities where modern technology and creativity were meeting. Operating under the Minimono banner, the close-knit community employed different mediums for exploring the potential the digital age had brought. In 2003, one of the founders Ennio Colaci met with local DJ Fabio Della Torre, and the course of Minimono was steered towards a specific focus on music production. Success came quickly for the pair, scoring releases with respected European labels such as Telegraph, Tuningspork, Oslo and Ethique, all suited to their stripped-back, experimental sounds rooted in the endless funk of house music. At the end of another decade, the Minimono sound embodies a fuller aesthetic, where warm instrumentation and rich melodies combine with an innate understanding of the soulful building blocks of 60s and 70s black American music. To understand the Minimono of today, look no further than their record labels, Bosconi and Bosconi Extra Virgin. Bosconi reaches across the realms of modern day house and techno, but embraces the emotion and rawness of a more classic age in dance music. The largely Italian roster includes Alex Picone, Ilario Alicante, Mass_Prod and of course Minimono themselves. As well as the homegrown talent, they have reached out to the likes of The Revenge, Mark E, Altered Natives and Bruno Pronsato for tracks and remixes. Bosconi Extra Virgin is more concerned with an organic, beating heart kind of house music where loose, live instrumentation takes precedence over programmed perfection. 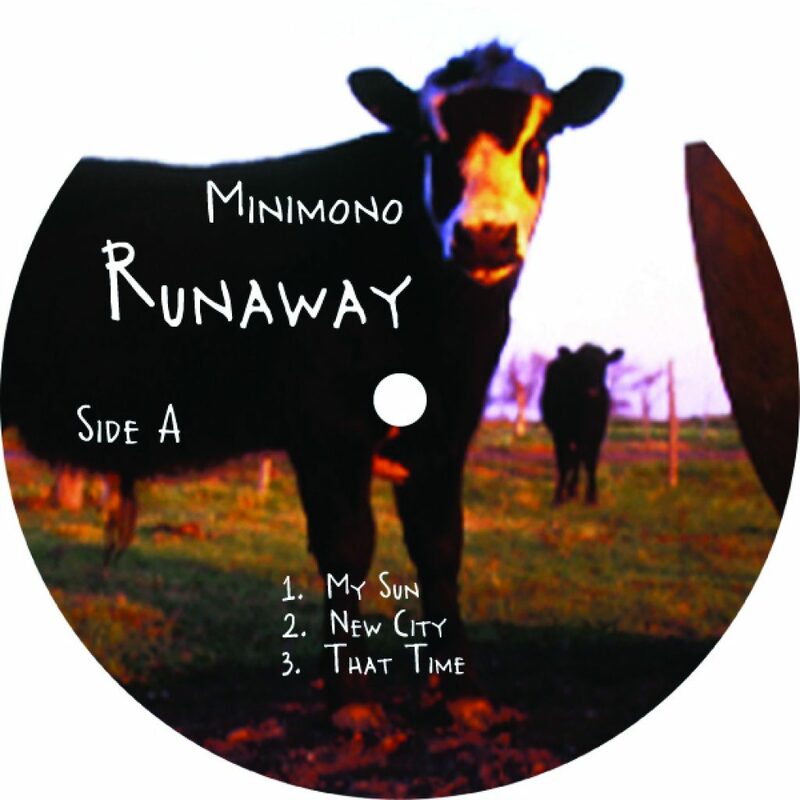 Hence Minimono decided that their debut album ‘Runaway’ should be an Extra Virgin release. ‘Runaway’ is the culmination of a long process that began with a summer full of inspiration for both Fabio and Ennio. The end result is equal parts floor-friendly house music and downtempo home-listening, with a strong vein of funk running through every track. Take a track like ‘No Time To Lose’, where vocals, guitar licks and fuzzy Rhodes keys come together with a house groove built around drum machine beats and hooky samples. Elsewhere ‘Smoking Mind’ tips its hat to the chopped up edits of their earlier years, while ‘Runaway’ is an atmospheric, soaring dancefloor ballad with its yearning strings and horns. ‘Weeds’ flips the script once again with a low-slung hip hop rhythm and jazzy undertones. Emotionally rich and laden with funk, the eleven tracks that make up ‘Runaway’ pass through many different realms in the world of dance music without ever succumbing to banality or repetition. It’s also worth noting that the album cover shows the logo of Minimono, a sculpture by the artist Sandro Mele. The sculpture now rests on the Halcon White estate in Buenos Aires, a lasting testament to the driving principle of Minimono; embracing collaboration and experimentation to explore new means of artistic expression.